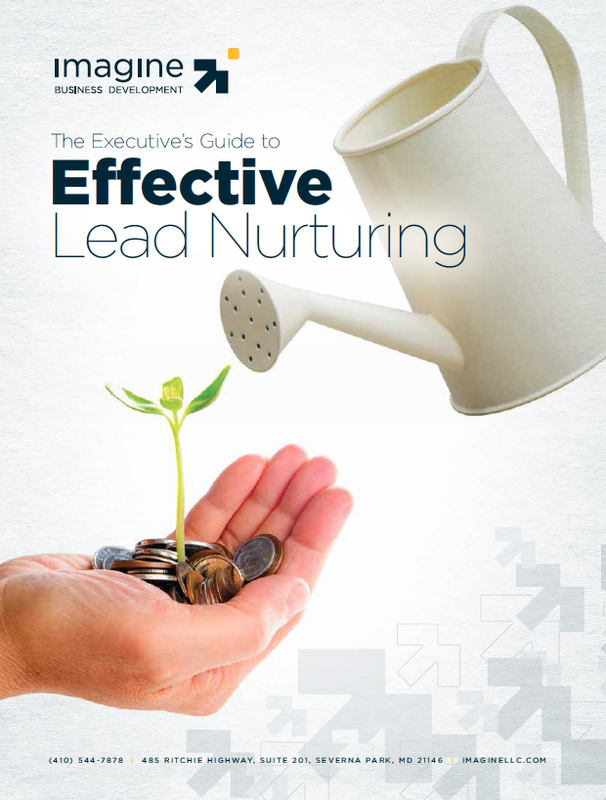 The following is an excerpt from our latest ebook, The Executive’s Guide to Effective Lead Nurturing. You can download the entire ebook here. Lead nurturing has become a critical part to business success in today’s technology-savvy marketplace. Nurtured leads produce, on average, a 20% increase in sales opportunities versus non-nurtured leads. (Demandgen) Gone are the days of cold calling and waiting for customers to break down the doors for your product or service. Social media sharing and access to unlimited information online has allowed for businesses to conduct research on a product or service, and make a purchase decision on their own. Much research supports that buyers are typically 60-90% through their decision-making process before they actually speak to a live person; and even when they engage with a salesperson earlier, there is more competition for their attention than ever before. How can your business stand out in this clutter of information and position itself as “the” best option for customers? Using lead nurturing actively moves prospects gathered through all marketing efforts through to sales development and helps to create paying customers. Lead nurturing also allows your business to leverage marketing and sales efforts, enabling you to communicate your message and even to sell when no one from your team is directly communicating with your prospects. Research shows that anywhere from 7 to 21 people can directly influence the decision to purchase - a good nurturing process integrates solid messaging and a cadence of emails and calls to keep things moving, allowing for the ability to influence your “unknown” decision-makers and enable those who are already engaged to build support and share vital information within the organization. It’s taking a step back from the traditional sales call to work diligently at listening to customers, developing a relationship based on trust. Those who have signed up for your email newsletter or have subscribed to your blog. Researchers looking for additional information on your product/service. Those who want additional information on your specific business. Subscribers who have already downloaded content from your website including an eBook or whitepaper. Lists of contacts acquired through other inbound and outbound marketing efforts. What are the pain points for these prospects that will cause them to ask for more information from you? After you’ve established who you’re going to target, you can further segment based on buyer persona – the typical buying habits and sales personality of each of your target groups. At this point, you’re also able to segment based on where a customer is in their buyer’s journey. Do they need the “why” question answered with a message geared toward education on the problem; or the “how” question answered with a message geared toward education on the solution? By further segmenting, this encourages even more specialized communication for your lead nurturing campaign. Learn the types of nurturing programs and the keys to make campaigns successful by downloading the entire ebook.